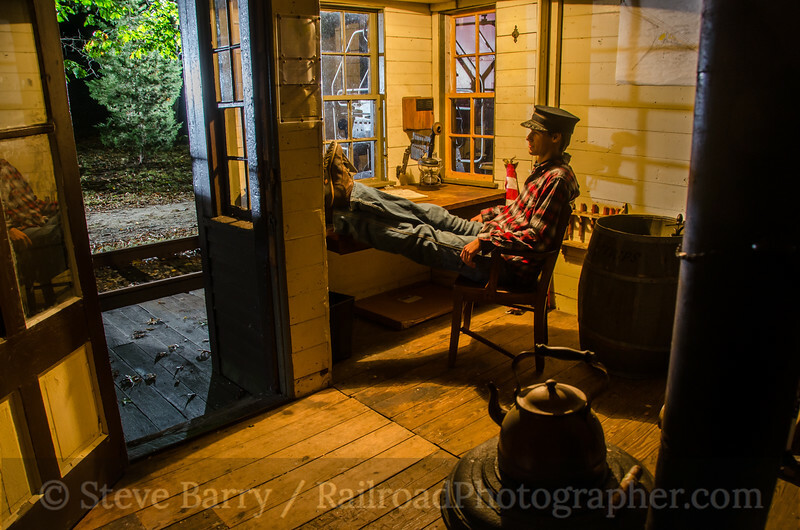 One of my favorite night photo sessions each year is held at the Connecticut Eastern Railroad Museum in Willimantic. And even though I've gone once a year for the last several years (and twice one year!) I still find some new angles to shoot, thanks to the efforts of scene coordinator Tom Nanos and the volunteers of the museum. This year (October 6 for those keeping score at home) we did station interior shots for the first time (above) with some pretty decent results. The museum has a variety of equipment, and one of the favorite pieces for night photography is the former New Haven FL9. This year the classic EMD cab unit was posed at the museum's grade crossing and a flagman was positioned to protect the crossing. 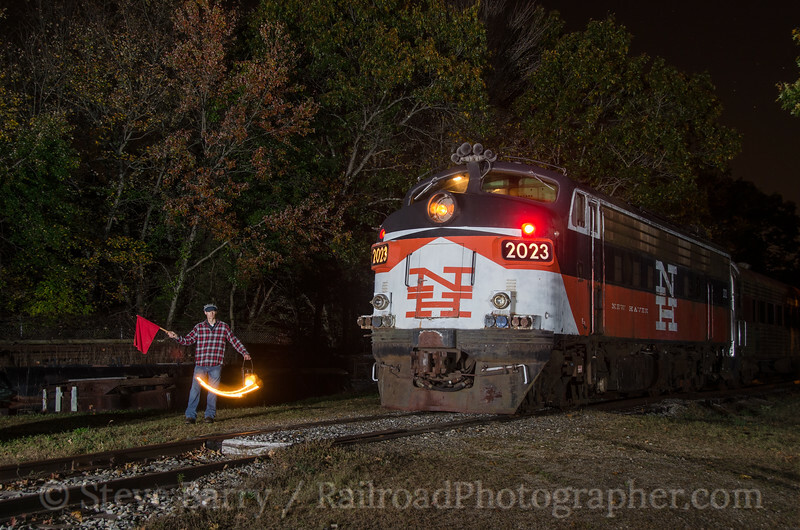 We were using synchronized flash for the shots, allowing for exposures of less than one second, but to get the lantern "swing" we opened the cameras for a few seconds while the flagman moved the lantern, then fired the flash. As is usual, after the session we looked at our results and found a few things we'd like to do differently -- it's always a mix of improving old shots and finding new ones. The FL9 scene could use two small tweaks -- turning off the red class lights on the diesel and losing the flag (leaving the flagman with just a lantern). Still, it's a pretty cool shot. I look forward to the 2013 edition of the night session.